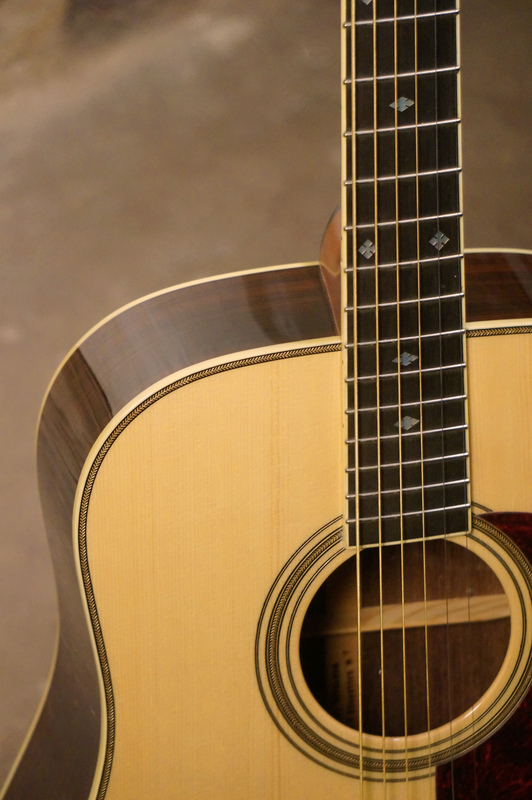 The G-70 is a classic herringbone rosewood design. 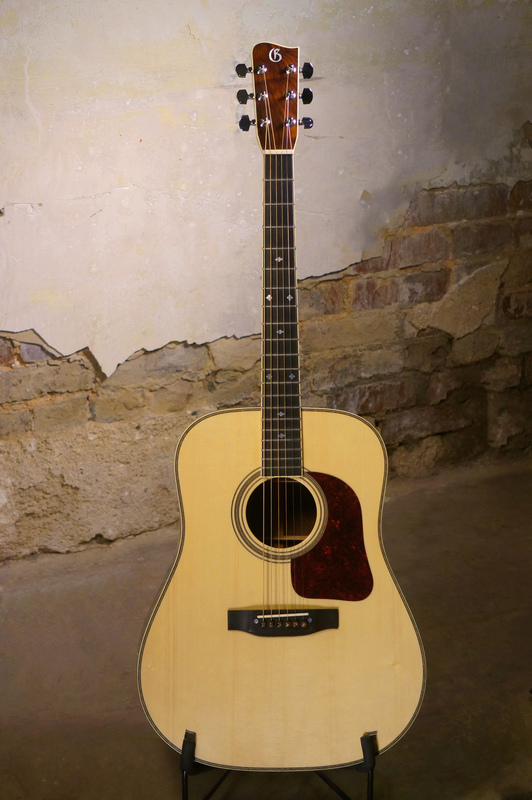 The G-70 was the first rosewood Gallagher and has been the standard for bluegrass guitarist such as Chris Jones and Claire Lynch. 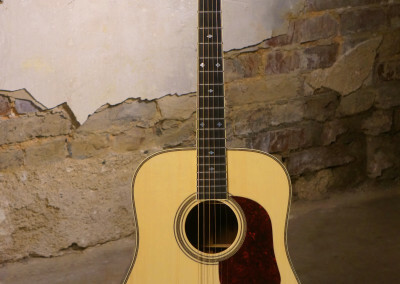 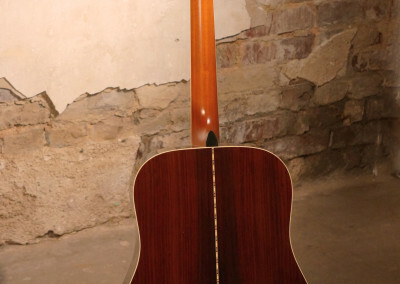 The G-70 was the first rosewood model Gallagher guitar. 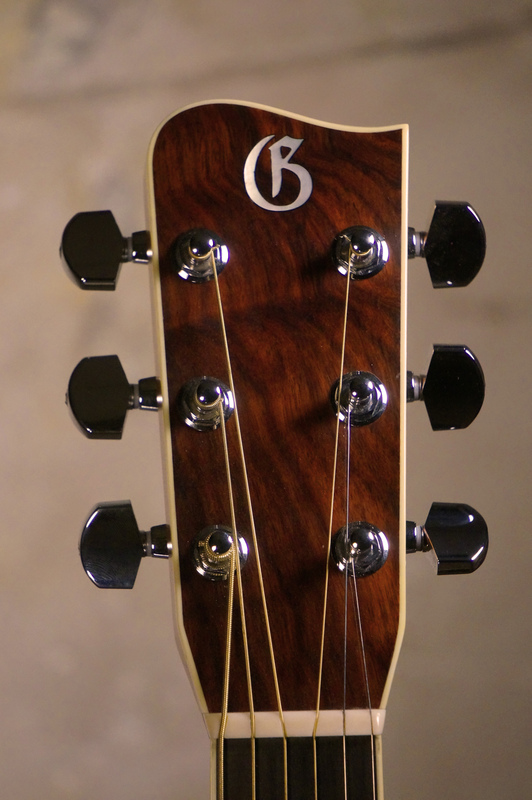 The G-70 is a traditional rosewood Guitar, with the best Indian rosewood and our choice spruce top. 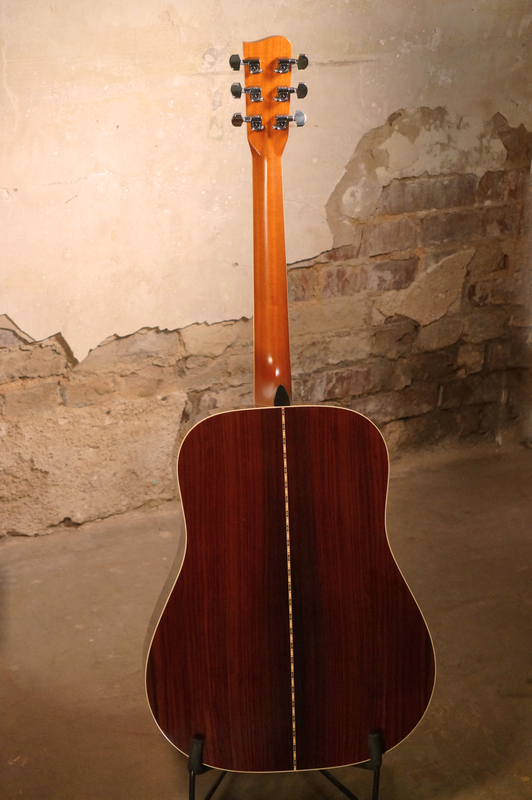 The G-70 is bound with classic ivoroid binding and the body and rosette are trimmed with herringbone. 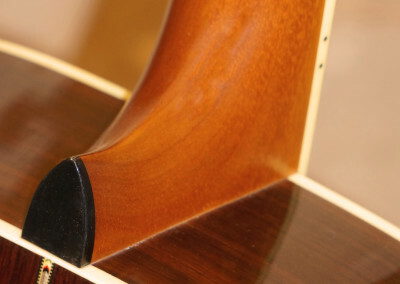 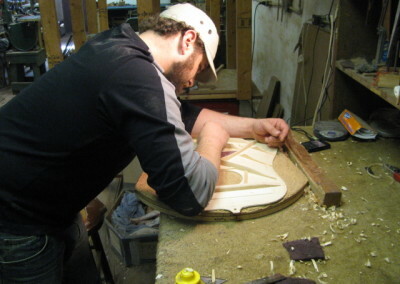 The G-70 is fitted with an ebony fingerboard and bridge, and the headstock and fingerboard are bound with ivoroid. 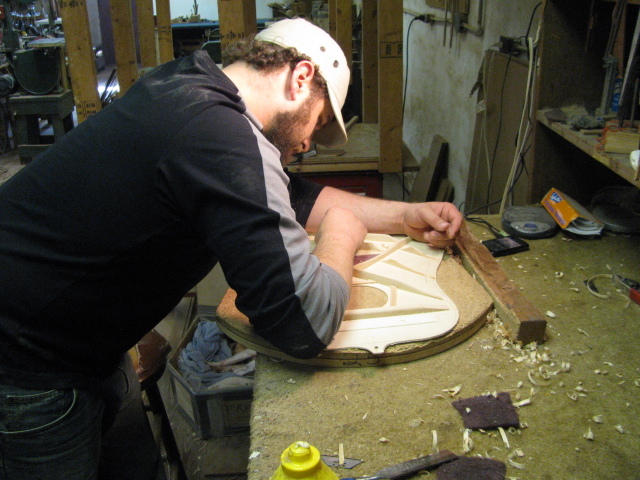 The finger board is inlayed with mother of pearl diamonds and squares. 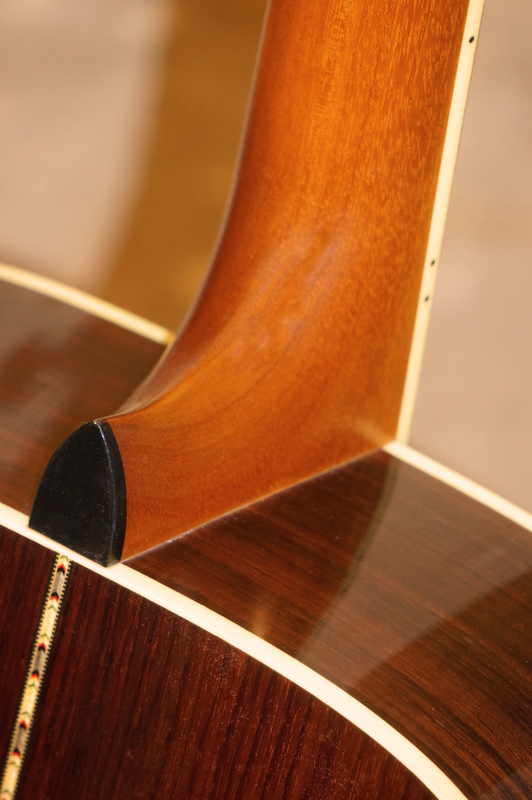 The bracing system for the G-70 is the traditional Gallagher voiced x-bracing. 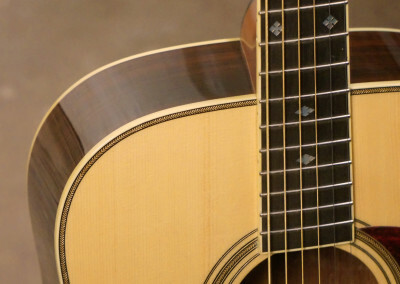 This guitar is perfect for those seeking a versatile guitar. 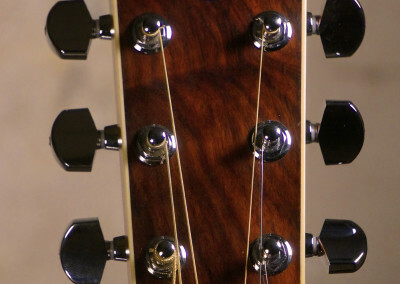 It will give you deep bottom end perfect for playing those hard G runs and bright highs with a sweet rosewood sound.